Prog rock legends Yes are set to tour with a tribute singer in place of Jon Anderson, who is currently recovering from acute respiratory failure. Benoit David, who sings in several Yes tribute bands in Montreal, Canada, will replace Anderson on the In The Present tour, which now kicks off in Ontario on 4 November after Anderson's illness saw July's dates cancelled. Yes bassist Chris Squire discovered Benoit David after being sent a link to his tribute act Close To The Edge on YouTube. Squire obviously liked what he saw as he called David to offer him an audition. "The first thing he said to me was, 'Well, I'm looking around to see where the cameras are in case I'm being punked.'" Squire revealed. The band are hopeful that Anderson will be well enough to return to live performance next year. 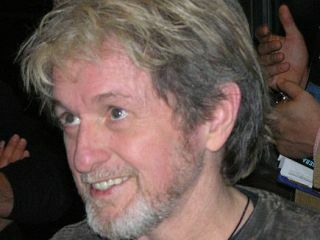 "You can't ever really replace Jon Anderson, because he's been such a force in the music business", Squire said. "We look upon his replacement as more of an understudy."